I was originally thinking of doing rainbow french tips, but I wanted to do something more interesting. So as I started playing around with my polish and painting it on at different angles and eureka! I realize I had created a little heart on my thumb. Since it was V-day is coming up shortly I decided to do this heart nail art again. This time I’ve created a little graphic tutorial to help you visually see how actually easy it is to do this heart tipped design. Here you go! Start of with your base coat and apply a base color if you like. I’ve left the bottom half of my nail plain for a more natural look. Then start the design by using the nail polish brush to draw a thick, but short line towards the tip of your nail. This will be the first half of your heart. Finish off the other half of the heart with another swipe of polish. Touch up the middle and any other edges so your final design is smoothly shaped and you’ve created a little heart on the tip of your nail! And just a couple extra tips to help you create this design. When you take you brush out of the polish, swirl it around to make the neck of the bottle to remove access polish, this will create of a blunt brush tip. This will allow you to make the nice smooth circular rim of the heart. 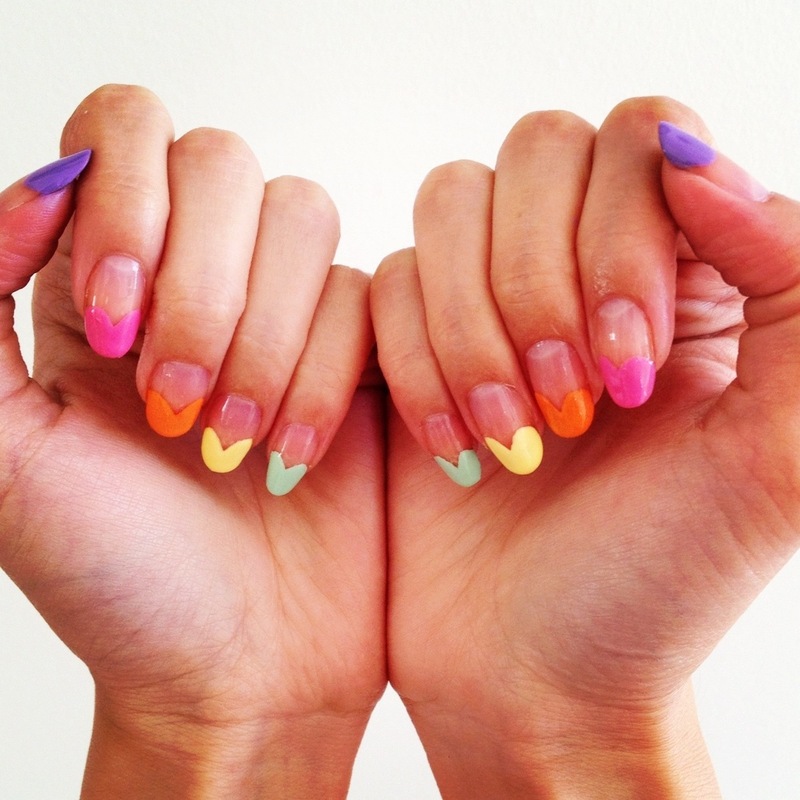 I also suggest that you make your nail shape more oval or pointed. Square shaped nails won’t work for this nail art! "NYFW’s Spotlight Stealer: Ashlee Simpson"
"DIY: Crafty Valentine’s Day Cards"
this is lovely! i’m so trying this!